I haven’t posted much in quite a while, but I want to get back to at least posting occasionally. Look for a redesign and me sharing some of my many interests, photos, and more in the next few months. I’ve been putting this off for quite some time now. I wanted to write back in November of 2015, then back in June of 2016. I just couldn’t bring myself to do it. Well, today, March 26, 2017, I saw one of those Facebook posts, either a ‘sponsored’ post or one that one of the pages I follow posted. It was a link to an article about how losing a pet can be harder than losing a relative for some people. I didn’t follow the link, I already know how hard it is to lose a pet that you’ve had for what seems like forever. I didn’t need justification for getting emotional every time I think of my Gilly, Tex, or Dusty. I lost all three of them in the span of 8 months between November 2015 and June 2016. Well, you know what? Yes, it very much is the same as losing a family member. This April – April 20, to be specific – will be ten years since I lost my Dad. It was devastating, and on some days hurts almost as bad as it did the day it happened. I miss him terribly. My world changed dramatically. I became less organized, changes in my routines and the way I do things. I still relive a few moments that I wish were different. I still wish he was here. It took quite a while to get back to being me and when I did, I made changes to my world. I started caring less about things and more about making memories and reliving some old ones. I started a million projects that may never get finished, even with my best intentions. Living life to the fullest, so that I no longer live with regrets of not doing this or that. Trying new things and expanding my horizons. Things felt normal until October 2015 when my “just a dog” was diagnosed with kidney failure and then later an aggressive cancer. 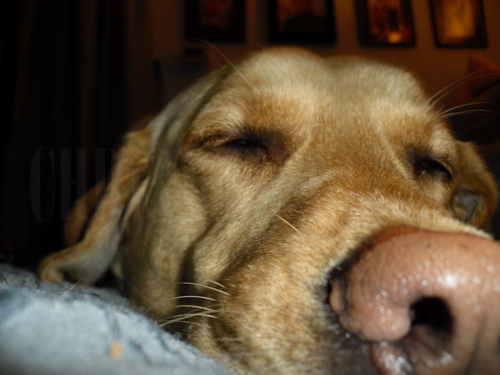 “Just a dog.” Gilligan (Gilly, for short) was much more than “just a dog” – a lot more. He was my snuggle buddy, my best friend, my comfort, my everything. “Just a dog.” I still cry to this day missing him. My world is empty without him in ways I can’t articulate. It hurt just as much as losing my Dad. That’s right, “just a dog” people, it hurts just as much as it did to lose my Dad. My explanation as to why it hurts just as much will do nothing to convince “just a dog” people that it is the same pain for some of us who’ve lost a dog, or cat, or other family pet. I don’t listen to my massive and eclectic playlists anymore. I don’t draw anymore. I’ve tried to get back to being me, but I just can’t get all of the way back to me. I do listen to music periodically. I have started watching my favorite shows from ages ago again and all the things that make me happy. There haven’t been nearly enough concerts for me to find my way to, but I’m trying to not let losing Gilly bring me down nearly a year and a half after he passed away. Maybe it’s because Gilly was my shadow. He had to be on my heels at all times. He hated being away from me. No matter how long I was gone, a couple of hours to a week or more, he greeted me the same every time. He cried, he jumped up, he shook, he was excited I was home. It was like those soldiers coming home to their dogs videos that go viral. I got that every single time I came home. 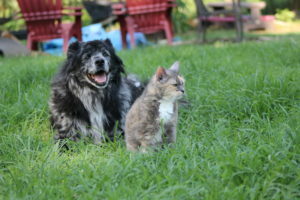 Maybe Gilly hurt still hurts so much because just a few months later I lost Dusty, the cat who thought she was a dog, and then Texas James, the dog who was as human as a dog can get. All three of them were very significant parts of my life. Gilly was 9, Dusty 14, and Tex 12. More than a decade of my life. I don’t think that anyone who looks at their pet as “just an animal” has the same bond as those see their pet as a family member. I don’t necessarily think that there is anything wrong with that way of thinking. I do think it’s heartless to tell people who think of their pets as family members, to get over it, it’s “just a dog” and not a family member. They don’t understand the bonds formed that triggers the “family” notion and the feelings of grief that accompany their loss of their pet. Every time I make the bed, Maverick insists on helping me. By helping me, he gets in my way, annoys me to no end, and gets annoyed by me for moving him over and over again. It never fails, the minute I start taking off the old sheets and putting on the new sheets, he is right there ready to smack me for moving him or to lay right in the area I need to remove or put on the fitted sheet. The other night was no different. I had pulled the sheets off, meeting with resistance as always. In pulling off the sheets the mattress cover came off a corner up at the head of the bed. Beneath it, a blue towel. Beneath that blue towel another mattress cover and another towel below that. Why do I have two mattress covers on my bed? And why do I have two towels underneath each? 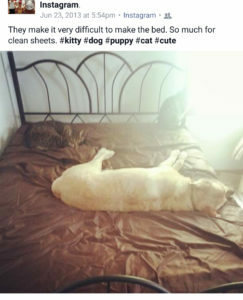 In the summer of 2015, I bought a new mattress pad topper, a much-needed addition to my sleep and something that Gilligan (Gilly) enjoyed on his sore hips. Especially as his health declined, he enjoyed the memory foam topper on the bed. In his declining health, he had bladder issues and I wanted to protect my new mattress topper from his accidents and leaks. He wouldn’t wear a doggie diaper and quite frankly, there wasn’t one that fit him comfortably anyway. I couldn’t say no to him sleeping in the bed and this was the compromise. He got to sleep in the bed and under my pillows, where Gilly preferred to sleep, I had towels to compliment two mattress covers and a bed covered in piddle pads. Gilly passed away in November 2015 and while I cleaned the sheets many times since then, I never had to wash the mattress covers after that final time of putting them on my bed with the towels. In Gilly’s last days, he slept in the living room since he was so weak. 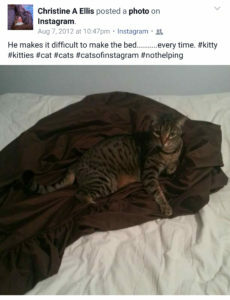 Changing the sheets with Maverick’s help was a painful reminder of how much I still miss my Gilly. Since Gilly passed away, Maverick’s bestie, Dusty passed away in 2016. Well, they were besties when we lived in California. When we moved to Tennessee, they decided they didn’t love each other anymore. They were the same age, and would have both been 16 this year. Maverick is still the same old Maverick, but at almost 16 years old, I pay more attention to him. While I hope he’s around a lot longer, I know I’m going to miss his annoying habits when he’s not here anymore. Maverick is now the last connection to our California menagerie. Texas passed in June of 2016. Texas was younger than Dusty and Maverick by two years. I think Maverick knows that I worry about him because he is way needier than he used to be and wants to be sure to annoy me as much as possible. He loves me, but he shows it more by annoying me doing things like rubbing on my tablet or computer, standing on top of me (he’s like 15 lbs or more), and biting me after I scratch him where he asked me two. He also must lay in a certain spot next to me. 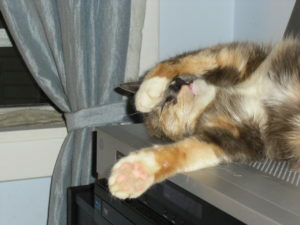 Seventeen months ago – one year and five months ago, we found out that we didn’t have much time left with Gilly. We had a chance to spoil him and take him on an adventure. He enjoyed his last days, even though it was at times painful. We had time to adjust and cry it out before he passed. Not that his passing was easy, but we were prepared. Dusty didn’t give us that much warning. She hadn’t been a normal kitty ever in her life. She dealt with immune system issues that was usually a result of food allergy. Her entire life we had to pay attention to what foods made her lips or feet swell up and not get those again. She was otherwise a normal kitty with dog-like behaviors. She played fetch, she walked on a leash, she barked at the birds, and she would get excited when her favorite human came home from work. In her last week, she lost her purr for a couple of days. The day or two before she passed, she got her purr back. I had a feeling what was coming, but I was hoping she would bounce back as she had done in the past. She was 14 was she passed and we lost the baloney lover of the house. The dogs missed her baloney snack time, since they always got some, too. In losing Texas, we lost the leader of the pack, grumpy Grandpa, and our best friend. We had no warning. He was up and around earlier in the day, by evening he was sleeping, but we knew he wasn’t himself. He was fading, unable to get up without help, no interest in food or water. We slept on the hardwood floor with him that night. We didn’t know if we had a minute or an hour, so we made sure we were there for him. He passed away the next morning, being the same feisty old man he had been for the last couple of years. 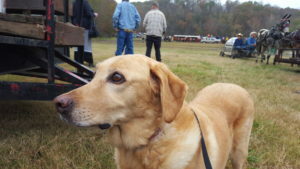 In losing three animals in eight months, it’s really painful. It’s the little things that pop up daily that remind you of them. Walking out to get the mail and taking the younger dogs with me. It made me miss Texas. He would always go with me and I would tell him to go to the mailbox as I went out the gate. He walked over to the fence in front of the mailbox and waited for me. I miss that. The other dogs haven’t been trained to do that. Texas passing away changed everything that had been normal about our house. 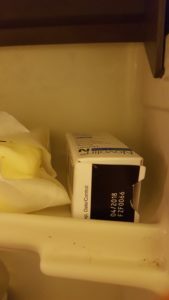 His insulin still sits in the fridge, his syringes on top of the fridge. 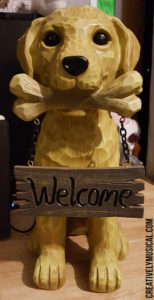 His collar still hangs on the key holder. A grocery store bag with the hair we brushed off him still sits next to the microwave. Not because we haven’t cleaned, but because we can’t let go of him. How do you let go of 12 years of companionship? You don’t. Texas was a different kind of dog, Dusty a different kind of cat, and Gilly one-of-a-kind. We still have four cats and thirteen dogs (three are fosters and two are returned adoptees), but we still miss the ones we’ve lost. Their presence is missed and can’t be replaced. I started writing this nearly a year ago, June 2016, and it’s now March 2017 and I am just getting back to it. The paragraphs below I started writing right after Gilly passed away in November 2015. It’s always been something I needed to write and wanted to post, but it’s not easy to finish. I think sometimes we forget how much we take in subconsciously from our daily lives. The routines you get used to no longer stand out. You pass the same stores day after day, year after year, but don’t notice the small changes or you take for granted that it will always be there. Time goes by so quickly that you forget how fast it can go. It’s when someone or something is gone that you wax nostalgic and realize the difference it made in your little world. It’s especially true of not only family and loved ones, but of beloved pets, as well. When you adopt a puppy or rescue a puppy, you expect them to live a long time. 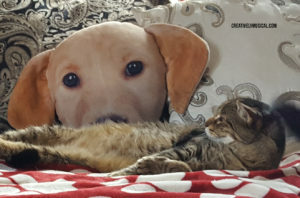 After all, you’ve adopted your best friend. As the years go on, you tend not to think about the fact that their life span is shorter than yours. You can see the age in their face as they get older, you watch them deal with old age issues of varying sorts, but you don’t realize how little time you may have left with them. When a dog gets to a certain age, say nine or ten years old, you’ve lived enough life with them that you just assume they are always going to be there. I mean, you know it’s not the reality, but you don’t want to put a time limit on their existence either. When you lose an older pet, that’s when you realize how much a part of your life they really were. The ages of the animals in the house range from about a year to nearly 16 years old. Two fish and a hamster currently round out the entire menagerie. Each loved, each spoiled, and each a small piece that completes the puzzle of everything that is home. I still miss Gilly. He was my snuggle buddy most nights in bed. I don’t have another dog that wants to be around the cats and sleep in my bed on a regular basis. The dogs are mostly weirded out or scared of the cats. I am trying to get a couple used to it, but it’s a slow process. I saw a dog that looked just like Gilly at Christmas time, waiting for her photo with Santa at the mall. I could have easily broke down and cried. She was the spitting image of Gilly. Maybe a little more slender, but otherwise looked just like Gilly, red nose and all. Tex’s insulin that is in the fridge will probably never get thrown away. When we get a new fridge it will move to it, not one of us will throw it away. There are still times, even nearly nine months after he passed away, that I feel like I should be giving him his nightly medicine. It’s pretty regularly that I wish that Dusty was here to snuggle with me. She was someone special, fiercely independent like most cats, but the ultimate snuggle buddy at the same time. None of the three of them – Gilly, Tex, Dusty – can be replaced. They were unique individuals. Gilly’s been gone seventeen months, but it hurts just as bad as losing Dusty eleven months ago and Texas seven months ago. Coping with losing all three of them in the span of eight months, changed everything about my world. I know that they are free of the issues that they all had in their old age, but I wish they were still here. I wish it could be like it was before. What had been normal for so long. For the last two years, we’ve been fostering and placing dogs in what we hope is their forever homes. Fostering isn’t easy, but it is rewarding. We’ve kept dogs from being places in crowded shelters. We’ve found them homes with people who wanted a life-long companion. It’s an emotional roller coaster, it’s not easy to let them go sometimes. I cry every time, even if it’s a little after the fact. You miss them more when you go through the daily routines and notice their absence. That absence is easier to bounce back from when you’ve only had the foster for a few, or even several, months. 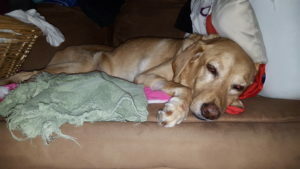 When you’ve had a dog or cat for years, nearly a decade and more, that absence is even more noticeable, even many, many months after they’ve passed away. I don’t know if there will ever be another pet in my life that is like any of the three I’ve lost in the last seventeen months. We’ve always had a crew of misfits, and each have the most unique personalities. But, at the moment, none have the personalities that are even remotely close to Texas, Gilly, or Dusty. Those personalities developed over time as we grew together. Maybe the next time I write about losing a pet, I’ll realize all the personalities that I still have. I hope that every cat and dog, even the fish and hamster, know that I love them. The adrenaline rush of witnessing the birth of a world-class rock band is a rare thing, but the emergence of Nashville’s Smoky White Devils has provided exactly that high-velocity thrill in the last months of 2016. This band of incendiary players has been superheating Music City clubs with high-energy performances that blend the cutting edge of songwriting and rocking sonics with a backbone rooted in the classic sounds, styles and inspirations of some of the most intense musicians of the classic rock era: Cream, Jimi Hendrix, Led Zeppelin… The result is a musical bridge between the past and present, leading to rock ‘n’ roll’s future. The quintet of veteran players is fronted by Richie Owens on vocals and slide and rhythms guitars, and harmonica. Owens has toured with Dolly Parton and produced albums for Parton, the Georgia Satellites and the Kentucky Headhunters. Nick Kane, from the platinum years of the Mavericks, plays lead guitar. The aptly named Peter Keys, who also holds the piano bench in Lynyrd Skynyrd, plays keyboards. And drummer Jeff “Shakey” Fowlkes, who hails from session drummer on Kid Rock’s albums, and bassist John Reed, of longtime Nashville punk rebels Raging Fire, are the granite-tough rhythm section. Together they have forged an unforgettable style. 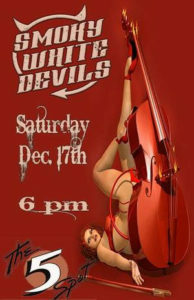 Now, as Smoky White Devils, they are poised to raise hell. Feel the burn December 17th at East Nashville’s The 5 Spot. This shop will feature some handmade items as time permits and projects are finished. A few items to start, with more to come later. Click the link above to view and vote for my entry in the Mavis Staples T-shirt Design Contest at Creative Allies. Tell a friend. Donate if you can. 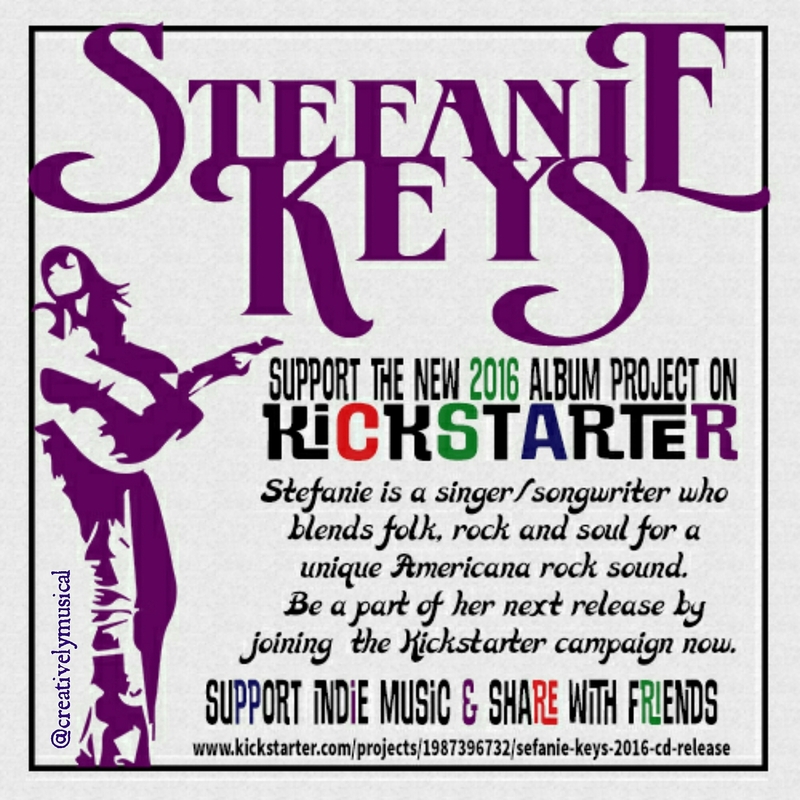 Support Indie Music and help Stefanie with her new album. She’s been on two Lynyrd Skynyrd Simple Man Cruises and has performed with members of Lynyrd Skynyrd, Blackfoot, Foghat, Blackberry Smoke and more. Her music is Americana rock…a unique blend of folk, rock and soul. “Are You Being Served?” is one of my all-time favorite shows. This YouTube video was a fun find.